Spring is my favorite season, but summer is a close second. I live for the cloudless days and warm, sticky nights. Being able to throw on a pair of jean shorts, sandals, and a breathable polo makes getting dressed relatively simple. 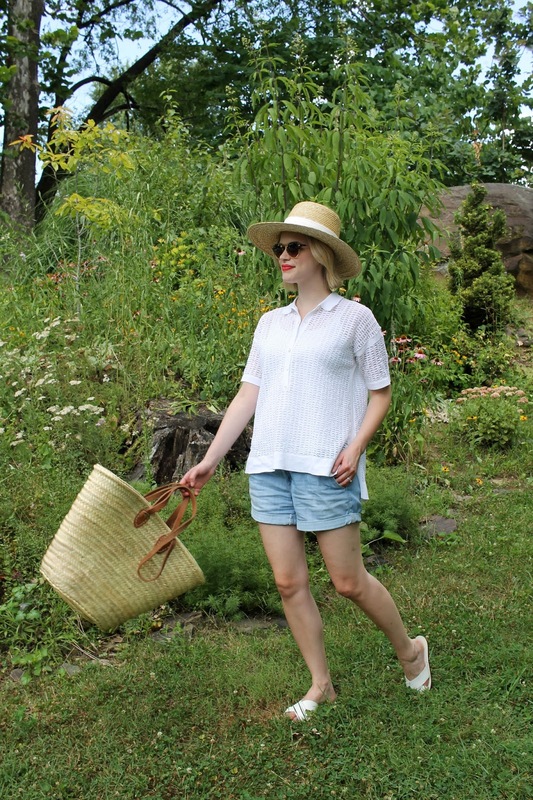 Whether you are headed to the farmers market, out of lunch, or just lounging by the pool a variation of this outfit can take you almost anywhere in July. After surviving a Charleston heatwave in an attic apartment last year, I know the importance of wearing breathable fabrics. This mesh polo allows for stylish airflow that I'll be wearing every week until September.